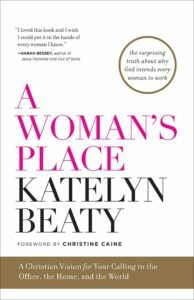 In this episode of the 5 Leadership Questions Podcast Todd Adkins and Barnabas Piper talk with Katelyn Beaty, the first female managing editor of Christianity Today’s print edition and the author of A Woman’s Place. Kaitlyn recently left CT after a 10-year run during which she helped lead significant changes and innovations. The conversation covers how personal platform and brand blends with an organizations, trying new things and “failing fast”, and more.